Announcement Welcome to thetwowickedmagpies. Your place to find Victorian, Edwardian, Steampunk and other treasures. Our shop is dedicated to making unique OOAK (one of a kind) jewelry and accessories. We specialize in every kind of jewelry or accessories that you could ever need from necklaces, hats, bracelets, rings, earrings, hair accessories and brooches. Please feel free to ask about custom work. We are always interested in trying something new and fun. We can either customize an existing piece of work or we can make something brand new from the ground up. Feel free to ask. Welcome to thetwowickedmagpies. Your place to find Victorian, Edwardian, Steampunk and other treasures. Our shop is dedicated to making unique OOAK (one of a kind) jewelry and accessories. We specialize in every kind of jewelry or accessories that you could ever need from necklaces, hats, bracelets, rings, earrings, hair accessories and brooches. and colleague in the continuing fight for equality for all. Quickly shipped; well packaged; reasonably priced. Very nice convos from talented seller. Thank you! These are lovely & elegant. Simple enough to wear with most anything, I love them. Beautiful earrings. I feel like I need to spruce up my wardrobe to match their classiness. The cover image is lovely! Stunning handmade jewelry whether it be a necklace, bracelet, ring, or custom order. A trunk jewelry display at local vendors in Bisbee, AZ. 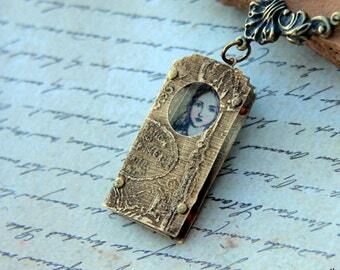 Custom or hand designed microscope slide jewelry. I feel complete when I am creating something beautiful. I have the urge to create. It is an intense love. I decided to focus my trade on the lush richness of the Edwardian and Victorian time period. I also decided to add the intricate steampunk flair that I love so much. 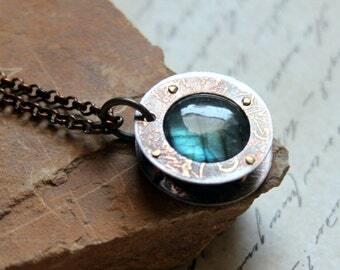 Items that have a distinct Steampunk, Neo-Victorian, Neo-Edwardian or Industrial feel to them are what I specialize in. I chose the name Magpies because my mother has always said that I was just like her in that I was a magpie. Always attracted to shiny beautiful things. I am a born and raised Arizona desert magpie. A lover of shiny things. A lover of literature and the time when the written word and decorum was far more important.